Known as a Stone of Ascension, Cacoxenite is believed to raise the spiritual awareness of the human race and to provide a loving and ethereal connection between all of the universe. It encourages a conscious awareness of the significance in random events to guide us on the right path, and in sensing the essence of the Creator in the beauty of nature and the kindness of people. Cacoxentie within Amethyst is particularly regenerative, not only for reprogramming the body’s cells to continually renew themselves, but also for revitalizing the mind. 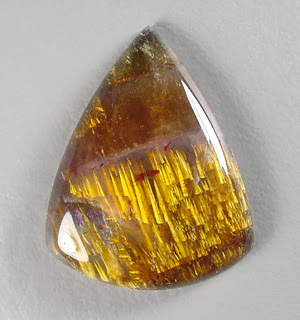 The inclusion of Cacoxenite initiates a higher level of creativity, clearing the Third Eye and Crown Chakras of conventional thought and limitations, and bringing new, “never before thought of” ideas and innovations to humanity. Within Quartz, Cacoxenite is more active, dynamic and instant than in Amethyst, and expands the consciousness to understand that one can connect to Spirit whenever there is a need or desire. Its vibration assists in aligning the Third Chakra with the spiritual, surrendering personal will to Divine Will, making it easier to receive the guidance and assistance needed to move forward on one’s life path. 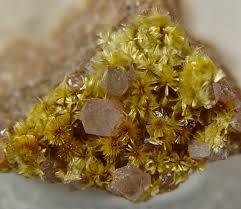 Cacoxenite is also a major mineral in the Super Seven crystal, also known as Melody Stone or Sacred Seven. Cacoxenite, together with Amethyst, Smokey Quartz, Clear Quartz with Rutile, Goethite, and Lepidocrocite combine their energies together in one powerful stone, said to be shifting the vibratory level of the planet and everything on it. It activates all of the chakras and subtle bodies, as well as other crystals near it, and provides immense guidance and support for spiritual gifts and metaphysical works of all kinds. It instills peace and a sense of communal safety and interconnection. 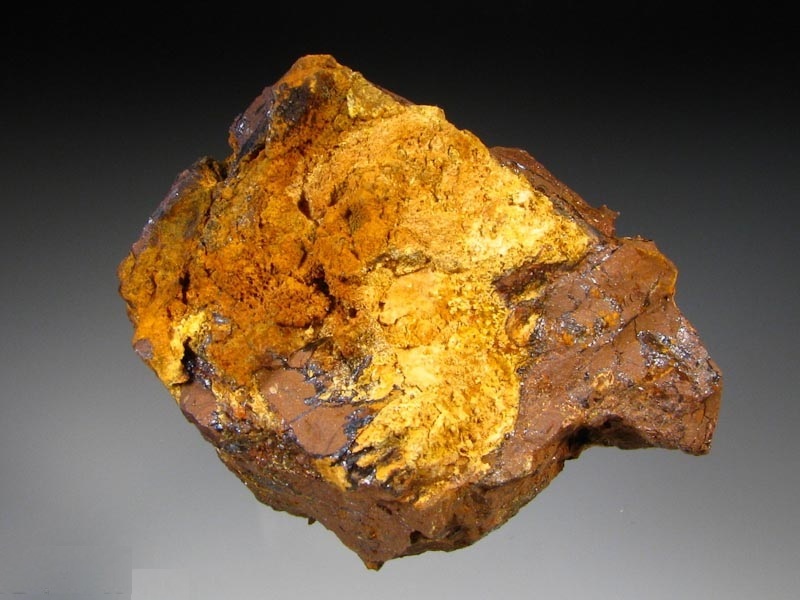 Cacoxenite is an iron aluminum phosphate mineral associated with iron ores. 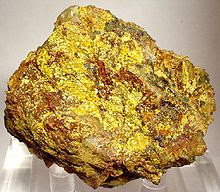 Its name, ironically, comes from Greek terms meaning “bad” or “evil” and “guest” because the phosphorus content of Cacoxenite lessened the quality of iron smelted from the ore containing it. It was first described in 1825 for its occurrence in the Hrbek Mines of Bohemia in the Czech Republic, though it is found in several locations around the world. It most often forms as radiated tufts or fuzzy strands of gold, brown, yellow or brownish-yellow, but can appear as reddish-orange or greenish-yellow. It is also referred to as Cacoxene or Cacoxitite. Cacoxenite is a popular and highly regarded “stone of ascension” used during countless planetary alignments and world meditations, and to heighten the effect of full or new moon rituals. Its high vibrational properties increase spiritual awareness on all levels and transfers healing energy to the Earth. Cacoxenite is a mineral for bringing good to one’s life. It encourages one to see the positive, beneficial and constructive forces in all events and situations, and to use discretion based on wisdom and discernment. Place Cacoxenite in Amethyst on the table at mealtimes and gatherings to encourage courtesy and avoid confrontations. In the workplace, it promotes the highest good in a company and deters unscrupulous tactics. 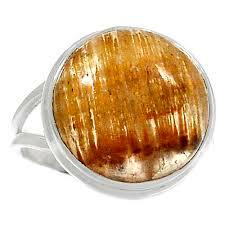 In body layouts and for daily wear, Cacoxenite attracts and grounds the highest spiritual Light. Combining a facetted Amethyst with a polished slice of Cacoxenite in Amethyst brings intensity and focus to the opening of the Crown Chakra and powerful psychic protection. Cacoxenite is a holistic healer, treating the whole body by recognizing the relationship between each integral part of the body, mind and emotions. Its energy carries information both within and between cellular structures, and has been used to increase the renewal of cells, balance hormonal responses, and to relieve stress. It is supportive of the adrenals and thyroid. This mineral is beneficial for all types of stomach upset, digestive issues, and problems in nutrient assimilation. It is thought to relieve respiratory ailments, colds and flu, and assist in treatments for parasites, growths and tumors, warts and moles. Cacoxenite within a crystal is highly sustaining in times of emotional upheaval, creating a peaceful space in which to withdraw. It assists one in overcoming fear and separating from the causes of stress. It allows one to release emotional bonds to relationships that are no longer serving one’s life purpose, and to strengthen the connection with others who more closely align with one’s true self. Hiddenite assists those who have difficulty in receiving due to feelings of unworthiness to overcome the misconception that financial wealth or possessions are the true measure of one's worth. It reveals how truly precious one is to the Creator, and when one stops to receive the love of the Divine, the feelings of true abundance and overwhelming gratitude in that moment supersedes all other needs. Living focused on the gifts one is receiving each moment creates a more joyous life. Cacoxenite promotes the expansion of the Crown and Third Eye Chakras for connecting the physical with the spiritual realms. Its vibration also helps align the Third Chakra, the will center, with Divine Will in order to cleanse the energy systems of any negative attachments keeping one from moving forward. The Brow Chakra, also called the Third Eye, is the center of our perception and command. It directs our sight and everyday awareness of the world. Our consciousness is located here, and we relate to ourselves through this chakra. When the Brow Chakra is in balance our thoughts and internal communications within ourselves are healthy and vibrant. We are open to new ideas, dreams, and visions, and can control the flow of energy within all the chakras. The Third or Solar Plexus Chakra is the energy distribution center and the chakra of relationships. This chakra is located between the ribcage and navel, and controls the immune and digestive systems. When balanced physically, we have strength to fight infections, are free of allergic reactions, and are able to use the nutrients we ingest. When the Solar Plexus is spiritually in balance we are free to interpret the world through our own thoughts and emotions and not live in fear of violating the dictums of others. Cacoxenite is an ascension stone, heightening spiritual awareness through meditation and dream work, and even unconsciously by simply wearing or carrying a crystal bearing this mineral. Its energy is welcoming, relaying the message that everyone carries a Divine spark and may connect with the Creator, as well as one’s guides, guardian spirits and other higher beings, at any time to receive healing and guidance. Cacoxenite also increases spiritual awareness on a broader level, uniting collective consciousness in ceremony or ritual gatherings, for world meditations and planetary alignments, and in connecting with the universal Life Force to draw in energy for Earth’s healing. Yellow Cacoxenite brings the power to solidify new interests and new relationships, helping one to see things in a different light. It adds clarity, waking things up and adding zest, optimism, and meaning to life and relationships. 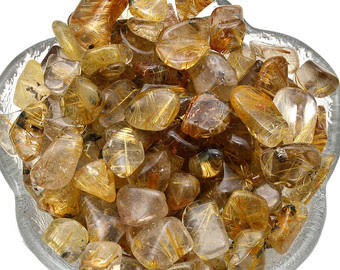 Light Yellow crystals ensure that new relationships get off to a good start by aiding in the establishment of good communication. They focus on the needs of the person or group one is getting to know. 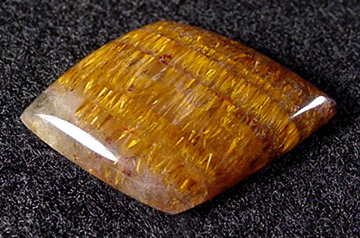 Dark Yellow crystals are an excellent aid when decisiveness, precision, or persuasiveness is needed. Gold Cacoxenite brings success, enthusiasm, happiness, and power. It is traditionally the color of kings, riches, and the sun. Gold touches a deep part of the mind, conjuring up images of mystical places and adventure. Light Gold crystals provide the simple pleasures of life - cheerfulness and contentment. Dark Gold crystals have a deeper, more pronounced sense of devotion and commitment, providing a mature enthusiasm and ability to share a lifelong commitment of care and love. Brown Cacoxenite brings connection with the natural world. It is the color influence of home, hearth, and nature. It helps one relax, reconnect, and regain composure. It is a grounding stone, promoting security and stability. Using Cacoxenite during meditation brings an awareness of the abounding nature of one’s existence. It may also be used for past-life regression, revealing core soul memories that require healing before current spiritual evolution can occur. Cacoxenite increases the connection to one’s guides and guardian spirits, and may be used in meditation to enhance communication with higher intelligences. It is also highly beneficial for those who channel these energies. I have enjoyed the benefit of crystal healing, but any information on uses and properties included with this listing do not, under any circumstances, constitute a claim on behalf of the Seller. The information given is not intended to act as a substitute for medical treatment, nor will any guarantees be given for any spiritual or metaphysical qualities.